Gemma completed her articles with the firm and joined as an associate in 2016. 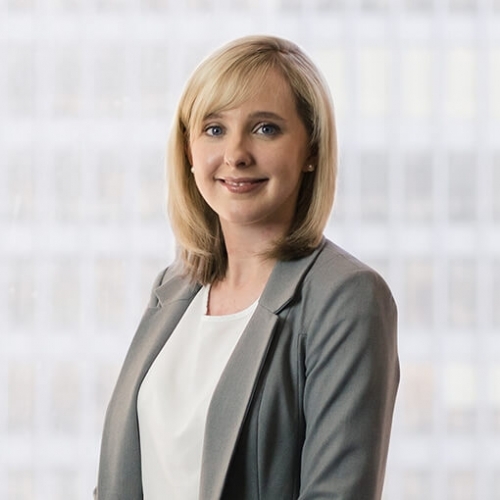 She defends individuals, corporations and insurers against all manner of claims, including motor vehicle accidents, occupiers’ liability, statutory accident benefits and professional negligence. Gemma has a keen interest in alternative dispute resolution, the subject of her Master in Laws thesis, and works with clients towards practical resolution of claims. During law school, Gemma was a choral scholar and worked as a singing teacher to fund her summer working holidays in San Francisco, London and Nice. During her free time, Gemma enjoys exploring her new home in Canada, along with her husband and son. Feel free to get in touch with Gemma at 416.646.2569 or gemma.healy-murphy@rogerspartners.com.